I was and still am amazed at the powerful image of the various veves. 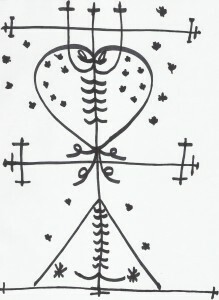 A veve is a symbol that represents a specific Loa (deity or highly evolved spirit) in Voodoo. They are ornate, and the more detail put into them, the more power it provides. You can find them on flags and other objects, but veves are meant not to last. These ornate designs are traditionally drawn on the ground in chalk, eggshell, corn meal, gunpowder, and other such mediums depending on the Loa that is being called upon. The various powders are sprinkled onto the ground into the appropriate designs by hand. Once on the ground, it serves as an altar for offerings and a focal point for invocation. 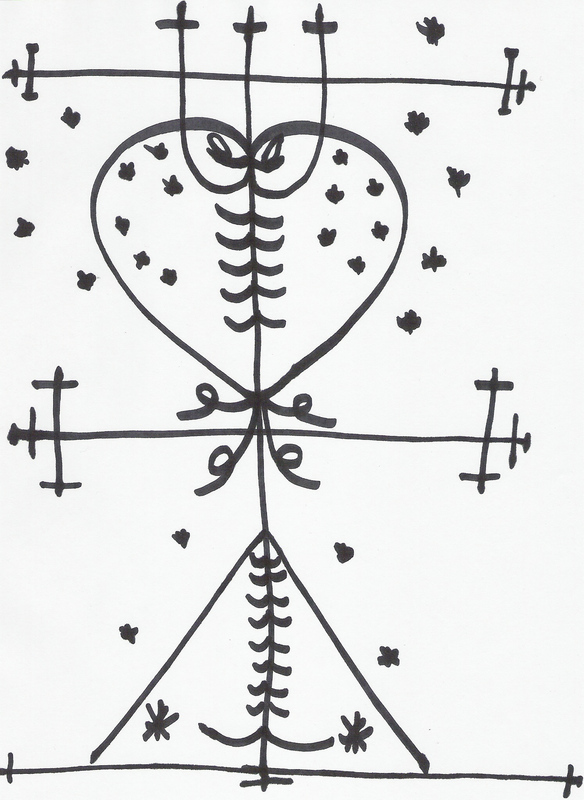 There is a hidden language locked in the design of a veve that can only be read by those educated in the ways of Voodoo, so um, not me. I do not have to be wise in the ways of Voodoo to know that these are powerful symbols. As images, they are beautiful art. By prescribed medium, they are unique and fleeting. 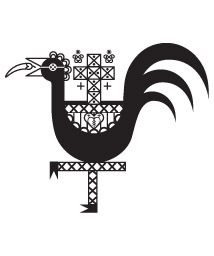 With my very basic knowledge of Loas in Voodoo, beautiful, unique, and fleeting all seem appropriate adjectives for the symbols that represent them. Generally, I try to offer some insight or personal philosophy with my columns about symbols. When discussing veves, I find my words and even thoughts fail to do justice to these noble symbols. Therefore, I’m going to let them speak for themselves.